Play On: Charlotte Hornets -4.5. The Hornets are showing great value here as a small home favorite. Charlotte got a much-needed confidence building 109-91 win at Philadelphia last night and I look for them to carry over that strong play at home against the Jazz. Utah is in an awful spot here and overvalued off back-to-back road wins at Miami and Orlando. The Jazz will not only be playing in the 2nd game of back-to-back set, this will be their 4th road game in the 5 days. This is a major letdown spot for Utah, as they will simply not have the energy to keep up with a motivated Charlotte team on the road. System – Teams off 2 or more consecutive upset wins as a road underdog that are playing on back-to-back days are a mere 44-82 (35%) ATS since 1996. 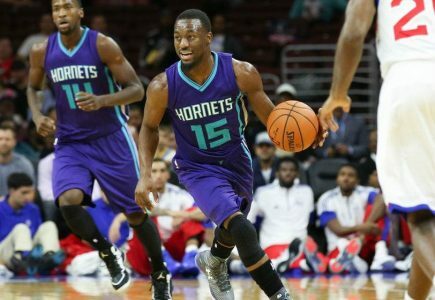 BET THE HORNETS -4.5!